The new Mercedes-Benz SLK 250 CDI marks the continuation of the company’s unique diesel engine heritage, as well as countering the common misconception that diesel engines and sports cars are incompatible. The four-cylinder diesel engine in the SLK Roadster delivers 150 kW (204 hp) from a displacement of just 2.2 litres to give the two-seater its characteristic sporty temperament. The sprint from 0 to 100 km/h (0-62 mph) takes only 6.7 seconds. Apart from all this, the Mercedes SLK 250 CDI is the most economical and therefore the most environmentally compatible roadster in its segment. It is happy with 4.9 litres of diesel fuel per 100 kilometers (63 miles) (NEDC combined consumption).With the diesel engine in the SLK Mercedes-Benz has taken the next step in a successful strategy that began in 1936 with the 260 D model – the world’s very first diesel car. The world’s oldest motor manufacturer has continued to develop these robust and economical engines ever since and, as far back as the mid-1970s, was able to demonstrate their hitherto undiscovered qualities as high-performance units in record-breaking drives with the legendary C111-II D and the C111-III. The new Mercedes-Benz SLK 250 CDI is the logical successor to these illustrious forbears. A certain sluggishness has been accepted as an intrinsic characteristic of the diesel engine ever since Mercedes-Benz installed one in the world’s first diesel passenger car in 1936. So wrong. Some 40 years later, engineers working for the Swabian manufacturer began to look more closely at the performance potential of the thrifty compression-ignition engine – and soon discovered what they were looking for. They fitted a turbocharger to the standard 80 hp five-cylinder engine found in the 240 D 3.0 and 300 D models to elicit an impressive 190 hp from the 3-litre diesel. With this powerful diesel engine under the bonnet of a spectacularly styled gull-wing model, painted in bright orange, Mercedes-Benz was soon geared up for some record-breaking drives. The C 111-II D powered its way to some sensational records at the Nardo circuit in southern Italy in 1976. For a whole hour, for example, it circled the high-speed track at anaverage speed of 253.770 km/h. It went on to collect further records in all categories – over distances of 10 to 10,000 kilometres and over periods of 6 to 24 hours. No one had previously thought a diesel vehicle capable of such performance. In April 1978, the even more aerodynamically designed C 111-III consigned these records to the scrapheap of history, with what was by that stage a 230 hp diesel engine with exhaust gas turbocharging and charge air cooling. It set a new record over one hour with an average speed of around 320 km/h, while the average over the other record distances also never fell below 314 km/h. No other diesel vehicle had ever even come close to such speeds. With these impressive records under its belt the C 111-III was able, once and for all, to prove the reliability and efficiency of the turbodiesel engine. While these record-breaking drives were going on, development of the production version of the turbodiesel continued apace. These efforts led in 1978 to the market launch of the 300 SD, the world’s first diesel car with exhaust gas turbocharger. In 1997 Mercedes-Benz ushered in a new era in diesel technology with the C 220 CDI. This was the first production passenger car to feature a diesel engine with common-rail direct injection. This new technology gave the car a significantly higher output and extra torque, while also setting new standards in the disciplines of fuel consumption and pollutant emissions. That Mercedes-Benz should now for the first time be offering the sporty SLK Roadster with a diesel engine is the logical next stage in these developments. Its four-cylinder diesel engine, with a displacement of 2143 cc, delivers 150 kW (204 hp) with available torque of 500 Newton metres – as much as a petrol-engined model with more than twice this displacement would normally offer. The new SLK 250 CDIfeatures the most powerful diesel powerplant in this class, with a thrust that propels the Roadster to a very sporty level of performance. Equipped with the standard 7G-TRONIC PLUS automatic transmission (a six-speed manual transmission will follow in the second quarter of next year), the diesel SLK can cover the sprint from zero to 100km/h in 6.7 seconds and achieve a top speed of 243 km/h. Moreover, the flexibility of the SLK 250 CDI is nothing short of phenomenal. Thanks to its enormous diesel torque it accelerates from 80 to 120 km/h in just 4.3 seconds – easily the best figure in this class, making for safe and effortless overtaking. Apart from all this, the SLK 250 CDI is the most economical and therefore the most environmentally compatible roadster in its segment. It is happy with 4.9 litres of diesel fuel per 100 kilometres (NEDC combined consumption), which corresponds to CO2 emissions of 128 g/km. 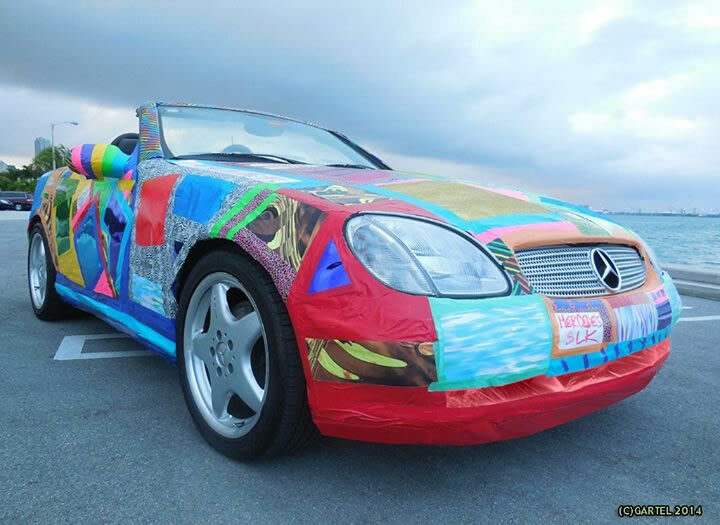 In other words, the diesel SLK combines thoroughbred sports car performance with the fuel economy of a sub-compact. This guarantees effortlessly superior driving pleasure with great fuel efficiency. The diesel engine achieves its exemplary output, torque, fuel consumption and emissions figures, as well as its highly impressive smoothness for a diesel unit, thanks to a series of innovative technologies. These include fourth-generation common-rail injection with precise injection timing, as well as two-stage turbocharging. Like all SLK models, the SLK 250 CDI is fitted as standard with an ECO start/stop system. The frugal fuel consumption makes the SLK 250 CDI a car with superior long-distance qualities. Using the European motorways, it is quite possible to drive non-stop from the North Sea all the way to a beach on the Mediterranean. Very comfortable sports seats, a comfortable suspension setup and the largest luggage capacity in this segment also do their bit to create the right conditions. As it shares the same genes with the other members of the successful SLK family, the SLK 250 CDI combines lightfooted sportiness with stylish comfort, a striking sports car design and absolute suitability for day-to-day use, while also delivering top performance with exemplary ecology. This means that the diesel version, too, provides open-top driving enjoyment at an extraordinarily high level. Likewise, the SLK 250 CDI too is available with a choice of three versions of the famous vario-roof – one of them the panoramic vario-roof with MAGIC SKY CONTROL. This glass roof can be changed from light to dark at the touch of a button. There are also three suspension variants: a conventional steel suspension, a sports suspension with a stiffer spring and damper setup and a suspension with an electronically controlled, fully automatic damping system. Externally the new SLK 250 CDI is no different in appearance from the petrol models. It even retains the twin exhaust system, and therefore has the same stunning looks for which all the SLK models are known. 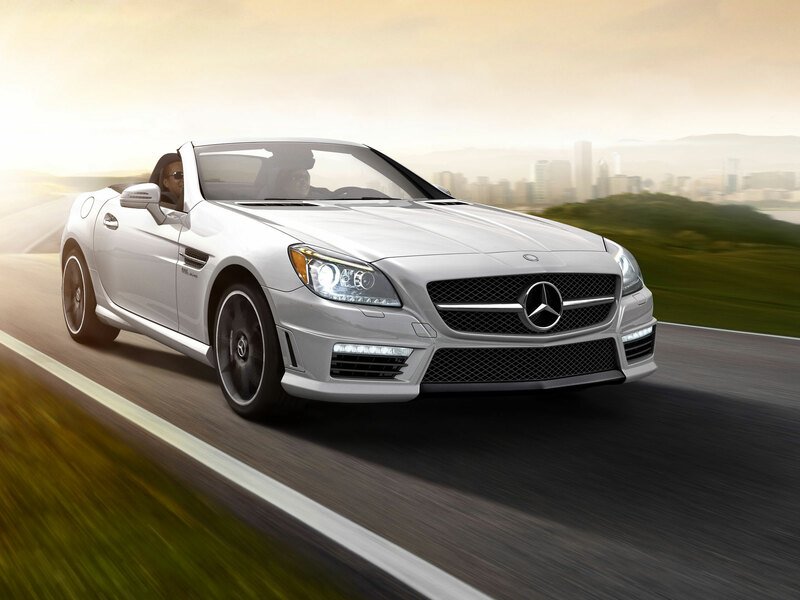 The SLK 250 CDI demonstrates just how much Mercedes-Benz has achieved with the diesel engine. A comparison of the world’s very first diesel saloon, the Mercedes-Benz 260 D of 1936, with the new diesel Roadster, reveals some astounding developments. The 260 D needed 0.3 litres of fuel per kilowatt per 100 kilometres, whereas the SLK 250 CDI requires a mere 0.03 litres – a bare tenth of the amount. We see the same picture in terms of the power-to-swept-volume ratio: the forefather of all diesel cars, the 260 D, generated 17.7 hp from one litre of displacement, while its family’s latest offspring, the SLK 250 CDI, produces 95.1 hp – more than five times the figure. The SLK 250 CDI thus shows that the diesel engine still holds remarkable potential for the future.